The NBA has fined Oklahoma City guard Russell Westbrook $25,000 US for the language he directed toward a fan in Utah. 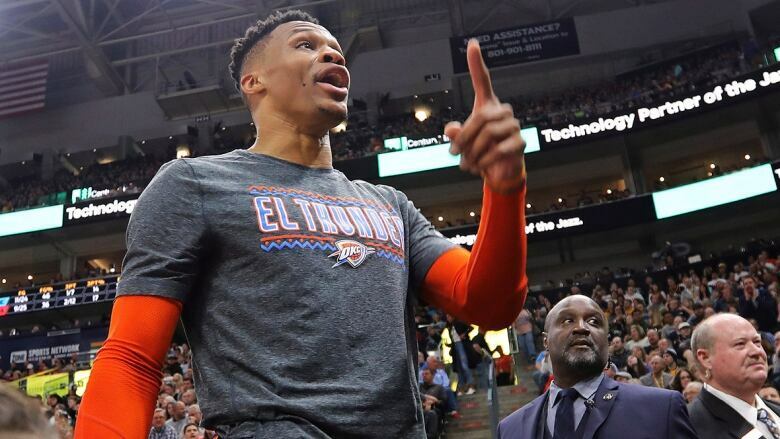 Westbrook confronted a man and his wife during a game after the Oklahoma City star says the two racially taunted him. Westbrook's teammates came to his defence following the game. Raymond Felton, who did not play, sat near Westbrook on the bench. Felton confirmed he also heard the taunts.